If so, you’re in the right place. 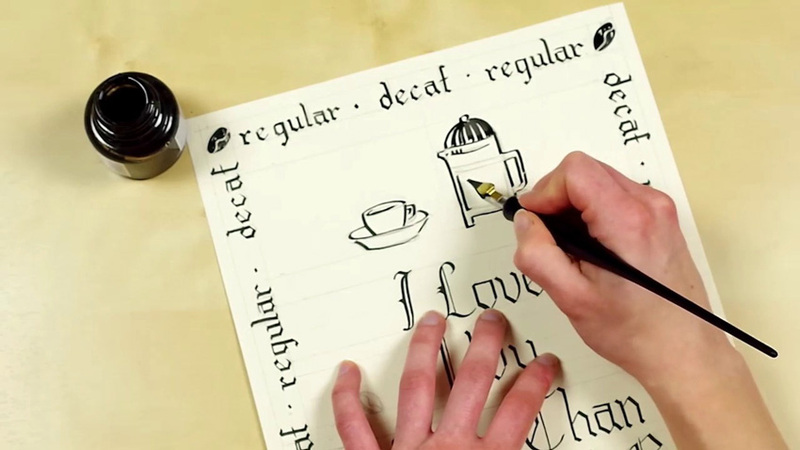 Although the word “calligraphy” comes from the Greek for “beautiful writing”, there’s a lot more to learning calligraphy than simply writing pretty letters. It’s about carefully creating each letter according to certain rules and conventions, and then arranging and positioning the letters and words to create a cohesive whole. In these two courses, you’ll learn two popular calligraphy scripts: Roundhand Script and Blackletter Script. 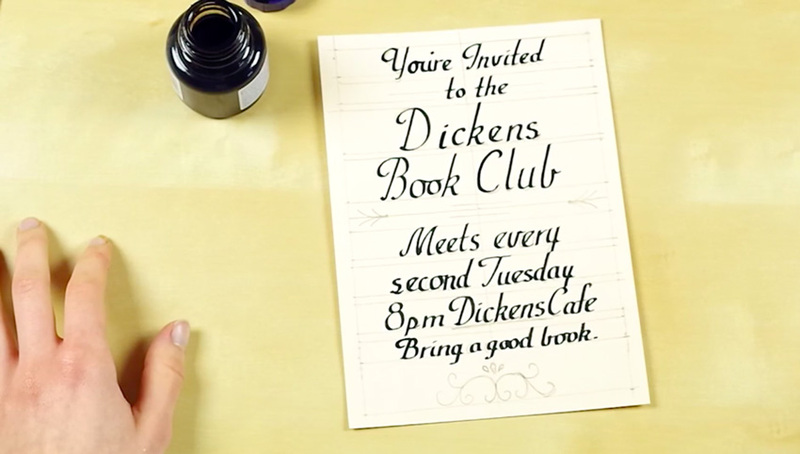 Experienced calligrapher Megan Eckman will take you through both scripts stroke by stroke, letter by letter. She starts right from the beginning, so if you’ve never done calligraphy before and don’t even know what supplies you need, she’ll cover everything you need to know. By the end, you’ll know how to create calligraphy letters in two different styles, and you’ll be able to use your new calligraphy skills to create invites, illustrations, or anything else you want. In this calligraphy course, you’ll learn the Blackletter Script, often seen as the most beautiful and difficult calligraphic font (although with Megan’s help, you’ll discover that the latter isn’t true).